(x86)/Steam/steamapps/common/PUBG/Engine/GlobalShaderCache-PCD3D_SM4.bin’ is missing. Your application is built to load COOKED content. 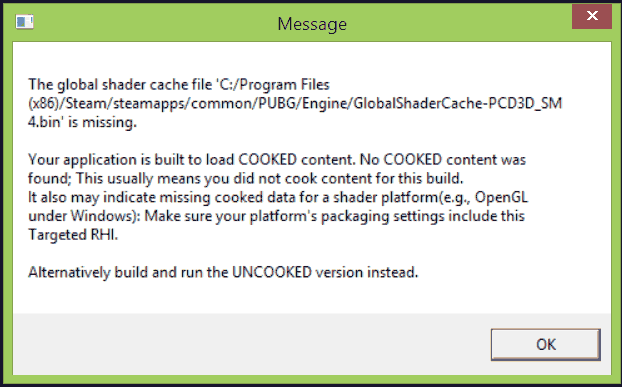 No COOKED content was found; This usually means you did not cook content for this build. It also may indicate missing cooked data for a shader platform(e.g., OpenGL under Windows): Make sure your platform’s packaging settings include this targeted RHI.